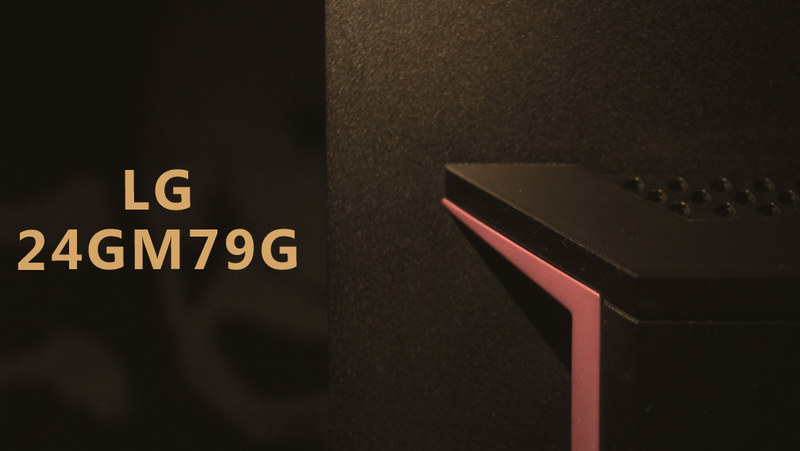 LG 24GM79G Review: The LG is a 144Hz Gaming Monitor revision of the LG 24GM77G with LFC support, Freesync, and some other small changes. Yay! 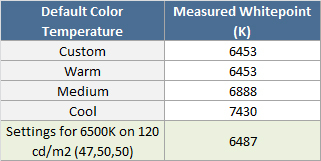 The previous "older" model LG 24GM77G had already been a very good choice when considering a Full HD 144 Hz monitor with Freesync. So the LG 24GM79G, but as all monitors, the LG also has some slight disadvantages to competing monitors in this Freesync tournament. So, is it worth to buy? Yes, definitely. But it also depends on the price in your region. 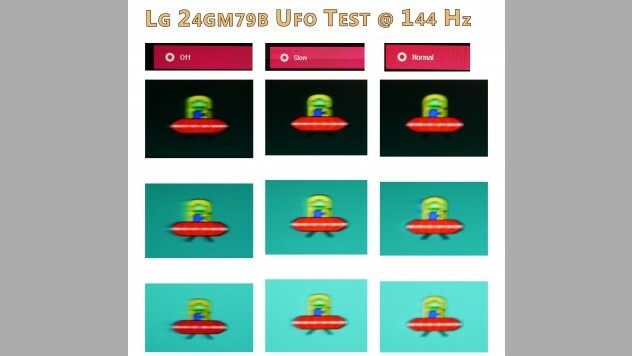 What is new on the LG 24GM279G? 1. Freesync 2. LFC (Low Framerate Compensation Support) 3. A matte foot stand 4. and some slight differences within the OSD. Watch the video review on YouTube to see what's in the new LG monitor. IMPORTANT(!) Updates and new information about the LG24GM79G can be found at the bottom of the article or in the table of contents (if available). Also available within the forum (click here). Regarding the Horizontal + moving scanlines from bottom to top. Only visible @ uniform mid-bright image content like gray and when looking very close to it (from a distance of approximately 30cm). I wouldn't say necessarily that this is a "real" disadvantage. It's by far not that visible like the scanlines from the CHG70 or the PG348Q for example. It also isn't possible to capture this on camera. These scanlines are not as usual "scanlines", they are like vertical thin "darker" bars traveling from bottom to top. 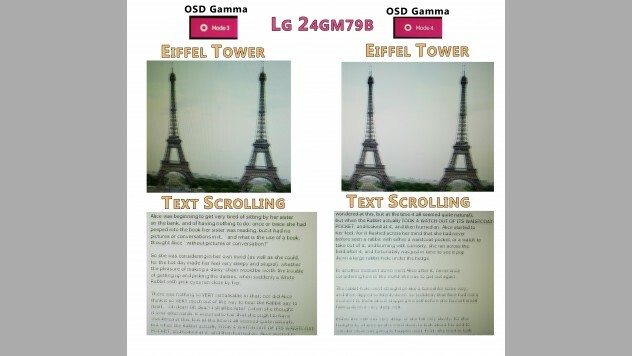 When comparing the LG 24GM79G to the Viewsonic XG2401, this is 5ms GTG response whereas the Viewsonic is 1ms GTG. Is there any difference visually? Must 1ms MBR be on to achieve similar performance? No, I don't know why LG has stated 5 ms response time (maybe without overdrive settings or for marketing reasons because of the 1 ms blur reduction) many people are simply confused. Hey Lim! I have this monitor with a Nvidia GPU and Windows 10. 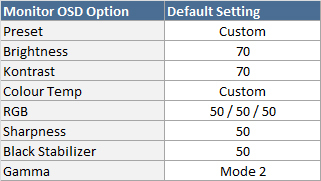 I did the OSD set up just as you explained. LG's website provides &quot;drivers&quot; for this monitor which is a folder that includes, among other files, an ICC profile (file with .icm extension). Should I install/use this in Windows color management? Also, on Nvidia Control Panel, on the tab &quot;Adjust desktop color settings&quot;, should I select &quot;Other aplications control color settings&quot; or &quot;Use NVIDIA settings&quot;? Thank you so much in advance. I've been searching online for an answer but can't make sense of this confusion. I just bought this monitor. How did you calibrate it to get 2,2 gamma? Thanks. Oh mate, I missed your comment. So if i set the response time to normal i will have 5ms and in order to achieve 1ms do i have to set it to fast? I am a little bit confused. Can you explain? No, unfortunately, you cannot remove them. 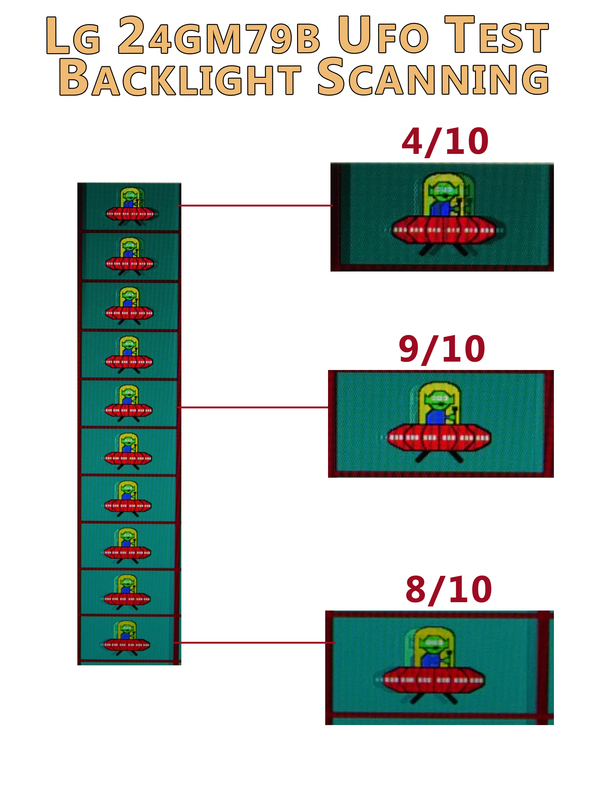 As I also have learned is that the amount of scanlines also differs within each individual unit. My unit was pretty good in terms of scanlines but still with weird moving horizontal scanlines from bottom to top (do you mean these) if so, did you also have tested another DP cable? Please note: the horizontal gray scanlines *can* be removed using a custom resolution made with CRU (Custom Resolution Utility). I've tried this on two seperate models of the GM79 and it works. I noticed no change in gamma, contrast or input latency by doing it. I can post a screenshot of the settings to make this work on the forums if needed. It involves setting your refresh rate to a few decimals below 144 or 120 herz (whichever one you're experiences the lines on) and increasing the VTOTAL to 1500. I can't say for sure if this may or may not increase or decrease input latency, but it cannot be felt in any way. Just saying that that's one thing I can't measure from my home. Hey lim, I noticed you said freesync instead amd freesync. So does nvidia able to use this feature? No Freesync always is from AMD. If this monitor would offer simply "adaptive sync" then it would work usually. 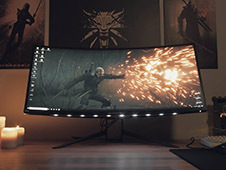 Hey, I have owned a c24fg73 monitor from Samsung but sadly I broke it :( I am looking for a new monitor. Which 1080p 144hz monitor would you really recommend? Should I get maybe this one or the Samsung or maybe something completely different. My budget is about 350 euros but it would be great if the monitor were under 300 euros. I mostly play CS GO, PUBG, and Fortnite, and I watch movies etc on my pc as well. 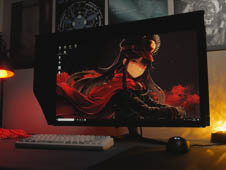 As I am using an old 60hz monitor with a Nvidia Gefore VGA, I guess any monitor of the above will be so much better but I'm not sure which one would be the most satisfactory choice in performance and price. And about $500 is the max I want to pay. Hey Lim I was hoping you could help me choose among the following.. But I really don't know what &quot;good&quot; is since I'm on a Benq 22 inch 60hz monitor right now I just want to upgrade from that to a monitor that is future proof and worth every penny. Hoping for your kind response. Thanks! 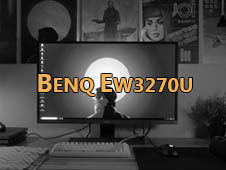 Hey mate, unfortunately I cannot tell you much about the "p" version of the BenQ, just that I know that the XL2411 is not really recommended in terms of image quality (for CS GO or Overwatch etc it is totally fine) but it has a poor contrast and colors compared to the LG or Viewsonic. I dunno which monitor Zi from Rocketjumpninja is using tbh. 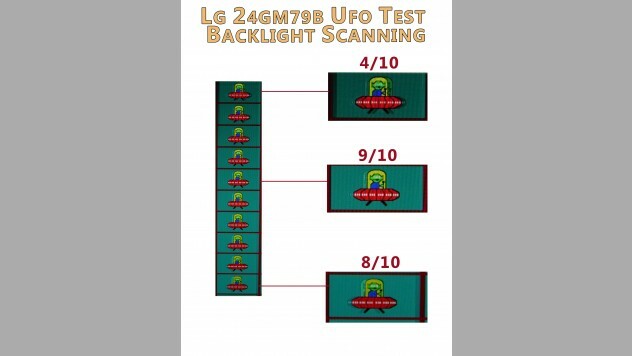 I would go with the LG if you necessarily want backlight strobing, otherwise the Viewsonic XG01 (since the 02 has more issues from what I have read from other users due to the panel uniformity). Thank you for your response Lim. I don't think the Viewsonix XG2401 is still available here in my country. 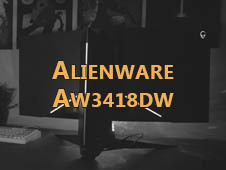 The Alienware AW2518HF is about $200 more expensive than the LG Viewsonic or Benq. I am worried about the issue of horizontal scanlines and crushed blacks. Are those issues highly noticeable in game or would I even notice them? Depending on how close you are looking for those issues. 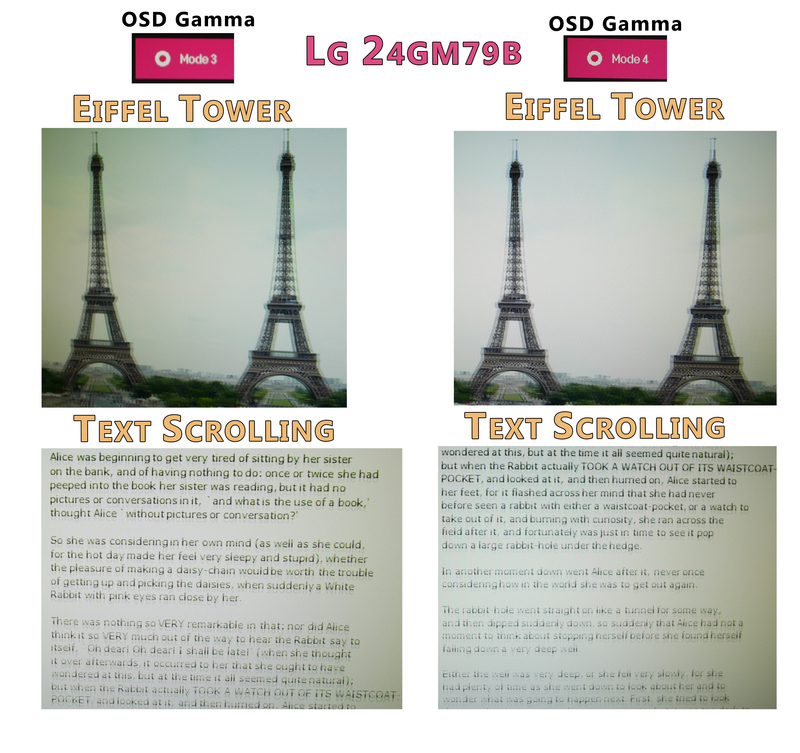 If you can RMA, then I would suggest you simply to check out the LG. Personally, scan-lines are something you can get used to pretty fast, AS LONG as you do not use a second monitor where you have a 1:1 comparison consistently. The black crush can be avoided a bit with decent gamma settings. The difference is NOT HUGE when you get one with black crush issues, but they are still there. I’ve read reviews where you don’t get the full 144hz refresh from the hdmi hook up, just the USB. I’m a console gamer and want to hook up my Xbox One X. Is this a great monitor for that or should I look somewhere else? I want to keep the screen at around this size and not move up to a 27” or beyond. Thank you. 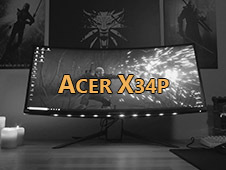 in my monitor i dont obtain 144hz only 120 and i dont know why. Someone can help me? These monitors are approx. in the same price cathegory in my country, so if you could help me choose one of those four, I would be extremely thankful. I am not sure how good the AOC models are - I just have read some ppl in forums have measured a weaker contrast ratio (600-700:1). According to the HP: Here I do not have any information or experience I can share, unfortunately. 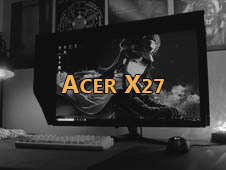 I'm currently looking at buying a 144hz monitor and have narrowed it down to either the LG 24GM79G or Acer XF240H. I was just wondering if you still plan on reviewing the XF240H and if so do you have a timeline for that? My only concern as a gamer with the LG is the 4ms response time though I've also seen it listed as 2ms, can you confirm either of those stats? Additionally I see it has a 1ms motion blur reduction response time which further complicates things but I assume that is only applicable when that feature is turned on. 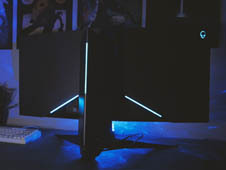 I've also heard the backlight strobing associated with that can cause headaches which I'm fairly prone to, so I'm wondering if that can be turned off? P.S Your reviews are the definitely the best technical and comprehensive resource I was able to find after hours of searching so keep it up! 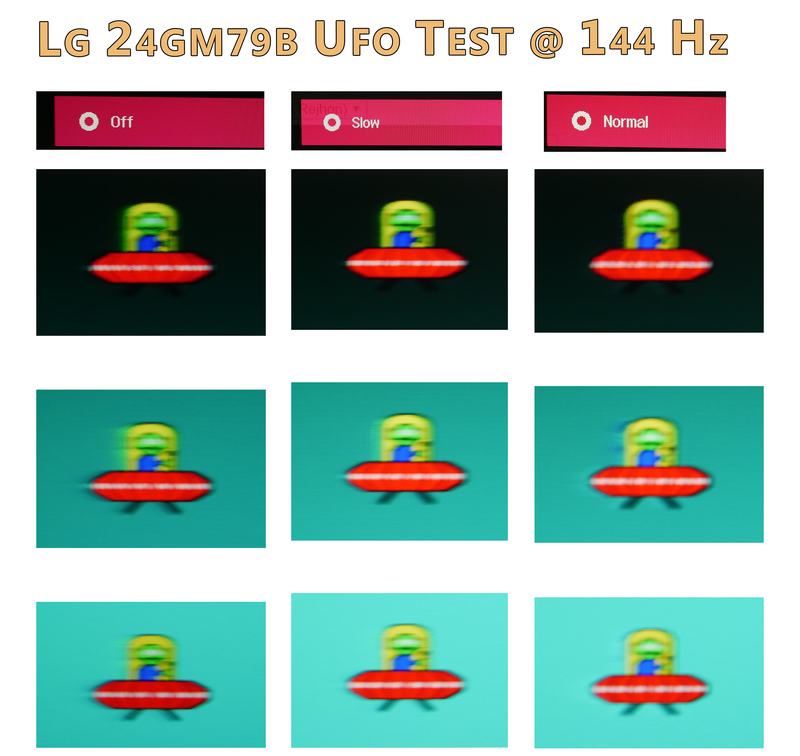 I've just watched your lg 24gm79g review on YouTube. Great video! 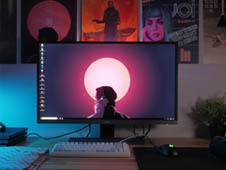 I bought this monitor recently and I really liked it, except for one little problem. Sometimes, while playing CSGO or Rainbow Six Siege, it seems like frames are being skipped as soon as I get killed by a straight headshot. It doesn't happen all the time but usually a few minutes after turning on the game. I can't even notice the death of the character. The headshot comes and everything freezes very quickly. Then I am dead. Don't know what happens. But it started with this monitor. I don't think it's a lack of ram and there's no software running background. I actually believe it's an issue with the monitor. so this monitor has 5ms response time? but why do they sell it as 1ms response time? is it noticeable compared to &quot;real&quot; 1ms response time? i dont understand... would you still recommend this monitor even though it has 5ms response time? or should i go with a viewsonic xg2401? I just checked out your website limscave.com and wanted to find out if you need help getting Organic Traffic &amp; Quality Traffic that Buys From You or Converts into Highly Responsive Subscribers ? ATTENTION: sends domain: limscave.com , not email address ! !